At Cell Phone City, our cell phone repair center can repair your iPhone 8 in our store. We use top quality parts and can special order parts if needed. If you need help with your iPhone 8 give us a call. We will give you the details you need to get your iPhone repair finished today. For pricing on iPhone 8 repairs, please call us at (260) 755-2016 or fill out the form below to receive a quote by email. With one of the fastest processors and a sleek glass design, the iPhone 8 is one of the best phones in the market today. It is also an expensive device, so you want make sure it lasts a long time and performs at its best. That’s what we do at Cell Phone City. We help keep your iPhone 8 or other device running at its best and functioning as good as new. The manufacturers warranty isn’t always helpful when it comes to physical damage to your iPhone. They have time limits and also don’t cover most types of physical damage. Currently there are no Apple stores in the Fort Wayne Area that can fix your device on the spot, under the warranty. So what do you do if your iPhone 8 gets damaged? Considering the cost of iPhone 8 and the information and apps you may lose, replacing the phone may not be the best option for you. You also don’t want to try and fix it on your own. You may end up damaging it further than originally. Cell Phone City has the remedy for you. We have the tech know-how and years of experience to help get your iPhone 8 screen replacement or almost anything else done fast and reliably. A successful iPhone repair service begins with the correct diagnosis of your devices problem. We have years of experience troubleshooting different problems on the iPhone, and can promptly diagnose and repair your device, often the same day. 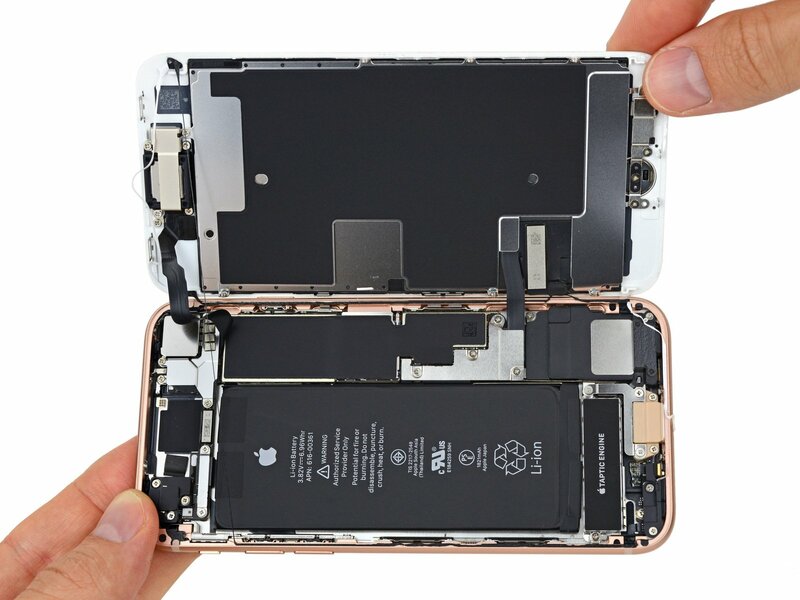 Our iPhone expertise is verified by our iFixit Master Tech Certification. 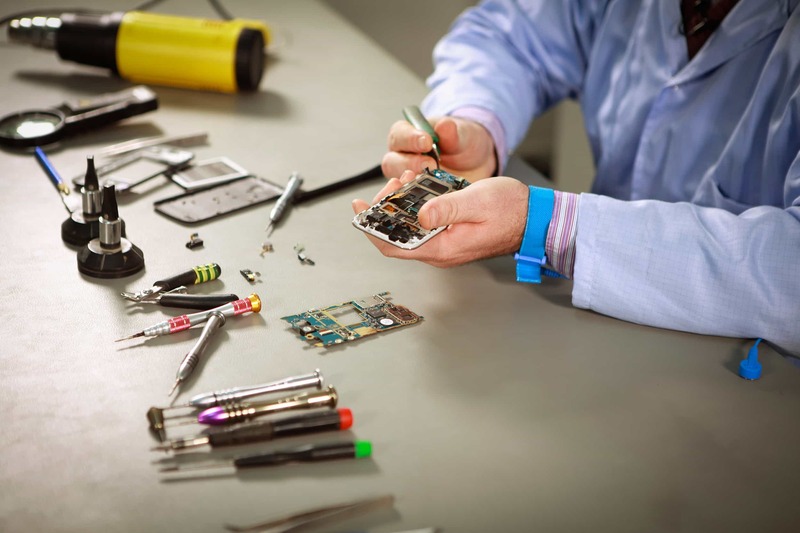 iFixit is the industry standard for repair knowledge and quality. It is very easy to damage your phone’s screen. A simple accident and you have a cracked screen. There are numerous online videos that claim to guide you on how to repair or replace your screen in such situation. You don’t want to do that with your iPhone 8. The screen is one of the most important parts of the phone. It is connected to almost every function of the phone and therefore a minor mistake could cost you your phone. 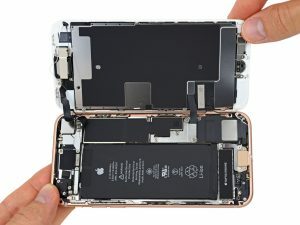 For example, if you break the home button on an iPhone 8, you cannot fix it. You will have to take it to an Apple Store and have the phone replaced in many cases. At Cell Phone City, our desire is to get your iPhone to function in the manner the manufacturers intended. We therefore take the diagnosis part of the repair very seriously. Within one hour, we will be able to tell you what parts, other than the screen, have been damaged. We will then inform you of the repair service we would like to carry out and how much it will cost you. The iPhone 8’s back glass design gives it a classy look. The attractive design, however, comes with increased breakability and the back of the iPhone 8 is now as easy to get damaged as the screen. If your back glass happens to break or get damaged in any other way, don’t try to replace it yourself. Just like the screen, repairing the back glass on your own may cause worse damage on the phone’s interior. 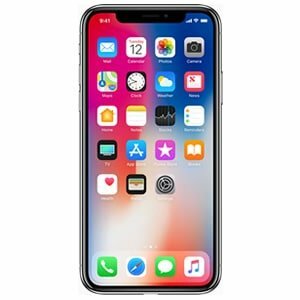 Bring the phone to Cell Phone City, in Fort Wayne at the Northcrest Shopping Center, and we will fix it for you at a fair price and in a timely manner. Water can destroy a cell phone and Apple has put a lot of effort to prevent their devices from water damage. The fruits of their effort can be seen in iPhone 8’s high water resistance rating. However, it is not waterproof. Water can still seep into the phone and damage important internal parts. The most common water damage problems come from the charge port, the screen or LED, and the speakers. In order to protect your cell phone’s circuit board and other water-sensitive components of your iPhone, we recommend not testing the water resistance. If you do happen to get your phone wet and notice it is malfunctioning, turn the phone off, if you can. The beginning is where the most water damage occurs, because the phone is still powered on and working at full capacity. This allows the water to begin to corrode the tiny vital parts inside your phone and eventually causes it to stop working. Repairing a phone that has absorbed water requires thorough repair work and that’s what we offer at Cell Phone City. We will not only dry out the water from your phone. At Cell Phone City we will also put your phone through a complete process that will remove the majority of the corrosion that was created. If the device is fixed, we will then test it for a minimum of 24 hours to ensure the device stays on and the functions are working properly. This is the only way to ensure your phone will work and continue working into the future, following a water damage event. If the phone needs any new parts we will contact you about what is needed. If you agree, we will continue with the repair and contact you once completed. Everyone likes a phone that can charge fast and connect easily, when and where they need it. However, sometimes the charge port may become damaged, especially if the phone gets wet. The iPhone 8 can be charged through a lighting cable or wireless charging pad. If your charge port is damaged, you may notice that your phone does not charge as expected, or the lighting cable does not even connect to the charge port anymore. Sometimes the phone dies and wont come back on, that can be the port, the battery or possible something worse, like damage to the circuit board. If you notice any changes, to the way your iPhone 8 charges, contact Cell Phone City and we can take a look at what is causing the problem. We will repair the charging port for you with the highest quality parts, and top rated customer service. If we are not able to get your phone charging again, we will give a description of the damages and charge you nothing. The iPhone 8 has high quality, lithium-ion batteries that last about the same as the iPhone 7. However, it is not immune to temperature or physical damage. If we diagnose your phone and determine that the battery is damaged, we will replace it for you with the highest quality replacement battery. Don’t strain your ears when talking on the phone or listening to music on your iPhone 8. If your speakers or microphones just aren’t working the same, come over to Cell Phone City and we will fix it. If your speakers have a crackling sound, we will have to replace them. If your speakers are just not loud, we may be able to fix the problem without replacing any parts, saving you money. Whichever may be the case, we guarantee you high quality and fast service. The iPhone 8 has only a few buttons, now that the home button is more of a touchscreen type module. The volume buttons, the power button and the vibrate switch are all that are left. It can be quite frustrating if your iPhone’s buttons aren’t working properly. It makes it difficult for you to use your phone the way you want. Don’t let a damaged button prevent you from utilizing your phone fully. Bring your phone over today and we will make the necessary repairs to get you back up and running. The glass that protects the camera lenses can be quite sensitive if damaged. If your iPhone 8 isn’t taking quality photos anymore, bring the phone to Cell Phone City and we can replace the camera if necessary. The iPhone 8 cameras are more expensive to replace than past cameras due to its upgraded technology and dual lenses.